My principal focus is maintaining the GraphicsMagick image processing package. This seems to consume every free cycle of available time. Also, check out the Magick++ C++ API I developed which provides a powerful programming interface to GraphicsMagick and ImageMagick. Long ago I developed the WebMagick software package which helps put images of all kinds on the Web. I also assist with maintenance of GNU libtool, libtiff, and libjpeg. My GPG public key may be used to verify release files signed by me, or to send me private correspondence. I am currently working at iPhotonix, a network technology company offering advanced Software Defined Networking (SDN) and Gigabit Optical Network Terminal (ONT) products. Potential partners or employers may want to review my resume. This resume was last updated in October, 2010, prior to my employment at iPhotonix, where I have done a whole lot of challenging stuff. There is also a light-hearted overview of my professional career to date. I served as an expert reviewer for the late W. Richard Stevens' Unix Network Programming Volumes I and II as well as for several other fine books. W. Richard Stevens will always be remembered for his selfless contributions to Unix programmers and his willingness to respond immediately to almost any question. 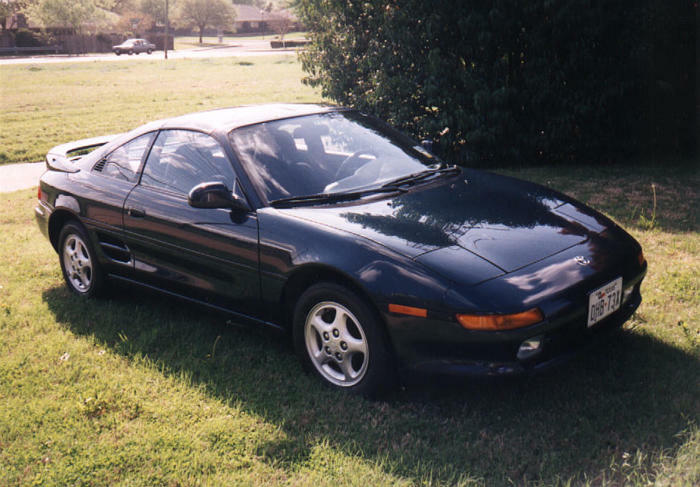 My hobbies are developing GraphicsMagick, shooting my air rifles, programming in C, C++, and PERL, exploring UNIX, searching for the software flywheel , and thinking about working on my old ('78) Jeep CJ5 while I polish my '91 Toyota MR-2 (see fantastic MR-2 web site ). I like to think that I hike and 4WD as hobbies but unfortunately I only get the opportunity for this about once a decade. Several years ago, I built a first-class home theater with HDTV in my living room. Why is my email address so strange? I have been using the simple.dallas.tx.us mail domain since 1992. Unlike people who take up residence at AOL, Yahoo!, or Hotmail, my email address is stable and is capable of following me regardless of my current Internet provider. The addresses bfriesen@simplesystems.org or bfriesen@graphicsmagick.org will also reach me. Please do not send any SPAM to these email addresses since we get our SPAM in a can at the store. Created by Bob Friesenhahn, bfriesen@simple.dallas.tx.us .